They say that eating right and working out more is the best way to stay in shape. But with summers about to end, the crazy of having a perfect Beach body rests aside and you move into a more sober phase. You cannot always stick to the same health routines or continue your fitness with the same enthusiasm. When you are facing the problem to make your routines stay the way they were and get your fitness back in the groove, here are some tips to help you revamp your routines to get better results with every exercise that you do. You need to modify the way you perform your workouts. The changes in the routines and with a proactive plan of action, you can take on more convenient fitness habits. The training sessions have come to an ease and you can now take workouts that are slow and steady. Instead of going for rapid workouts, take on strength training routines that offer greater results while avoiding conditioning plateaus. You can always add new movements and new varieties to low impact workout routines. 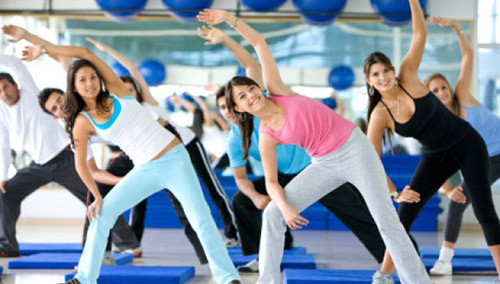 A fitness coach will address your workout needs and cater to the requirements of your body. Take help from a Beachbody coach for free if you are facing challenges in sticking to workout routines. The Beachbody coach will guide you how to get a balanced workout, without losing the motivation to stay fit. Music can improve endurance by 15% and make exercising feel more pleasant. Many people love to groove with the tunes of the workouts. The music will give you a motivational boost to augment your workout sessions. Take on Turbofire, Turbo Jam, Chalean Extreme, Les Mills Combat, Hip Hop Abs, Rockin’ Body and the likes, that have hot tunes to keep you going through the workouts. Your dietary habits are a great factor in fueling your body to stay active and add to the workout performance. Proper nutrition will help your body to build the muscles and repair the tissue damages. Most of the Beachbody fitness programs come with nutrition plans that can help the body to give maximum results with the workouts while keeping it well hydrated. Moreover, Shakeology health shake is a nutritional formula that will help in boosting the metabolic rates, so that you perform better each day.